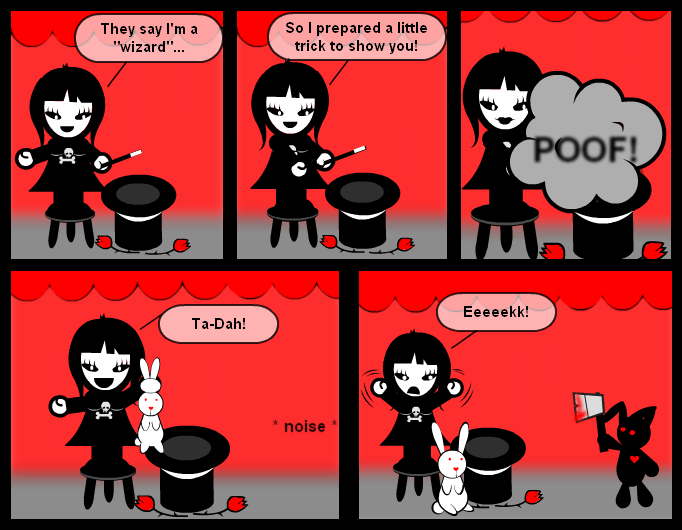 I know, it's more a "magician" than a "wizard", but anyway. Also, half-way to being God (not like I care THAT much, just sayin'). So I prepared a little trick to show you! Grats on bribed - you're on a roll now! YOU are on a ROLL !!! !